Soak the sun dried tomatoes for 20 minutes in the water. 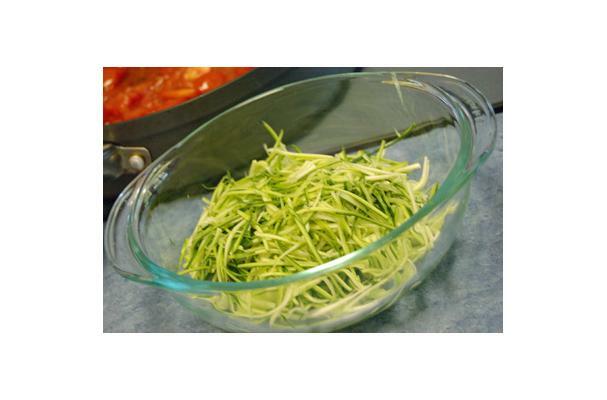 While they're soaking, shave the zucchini with a vegetable peeler or grater to make "noodles." Once the sun dried tomatoes have soaked, place them, along with the remaining ingredients (NOT the zucchini) in a food processor. Process until desired consistency is reached.